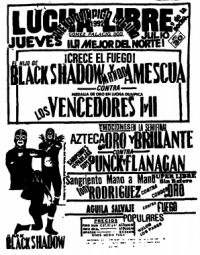 Thunder Machine distracted rudo Fisico Nuclear to cause the loss. 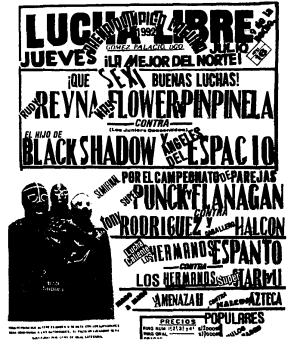 This was Nuclear's debut here. 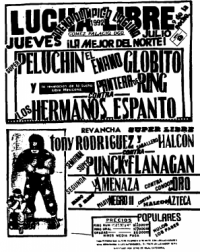 Event Notes: attendance is paid tickets; Perro, Santo and Konnan were advertised but did not appear, and more than 2/3rds of the audience left before the main event as a result. 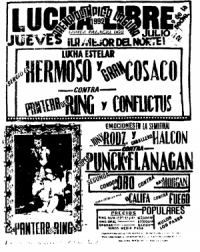 Much strife due to the no-shows, including booker Ricky Medina quitting during the show and promoters Rudy Rojas and Karl Lauer vowing never to work with AAA again. 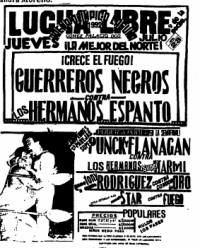 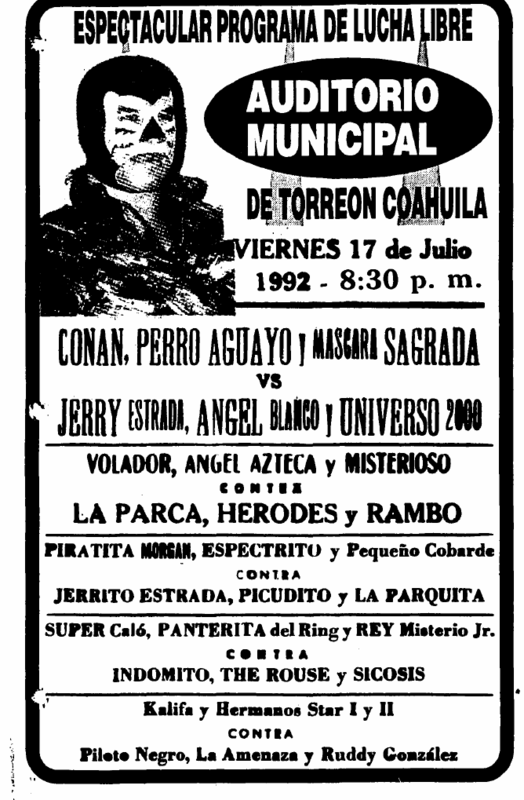 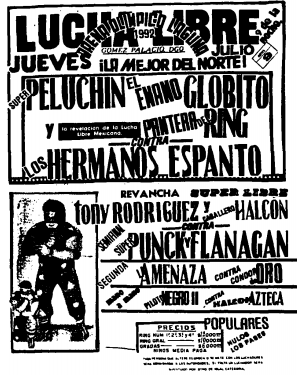 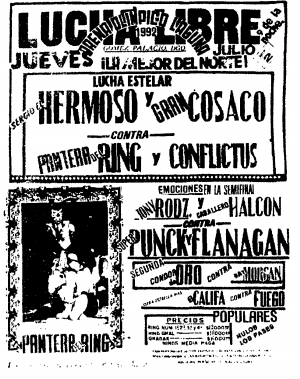 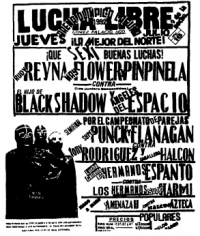 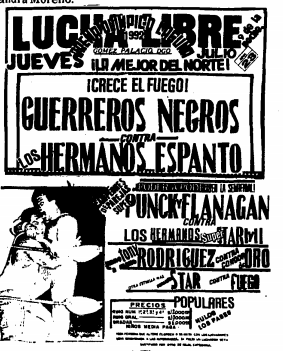 Event Notes: Konnan, Santo, and Perro Aguayo were billed for this show, but did not appear. 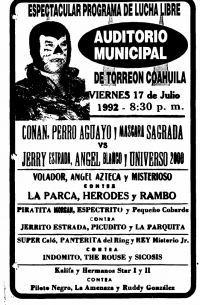 Refunds were offered, and everyone paying over $10 automatically got that much back.